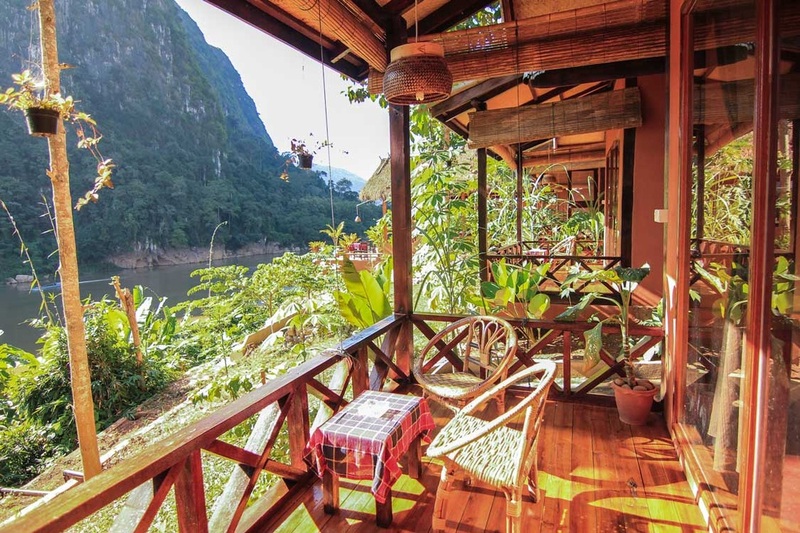 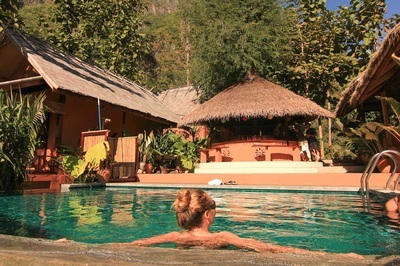 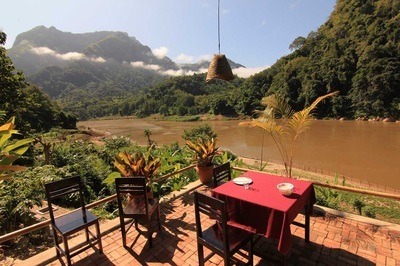 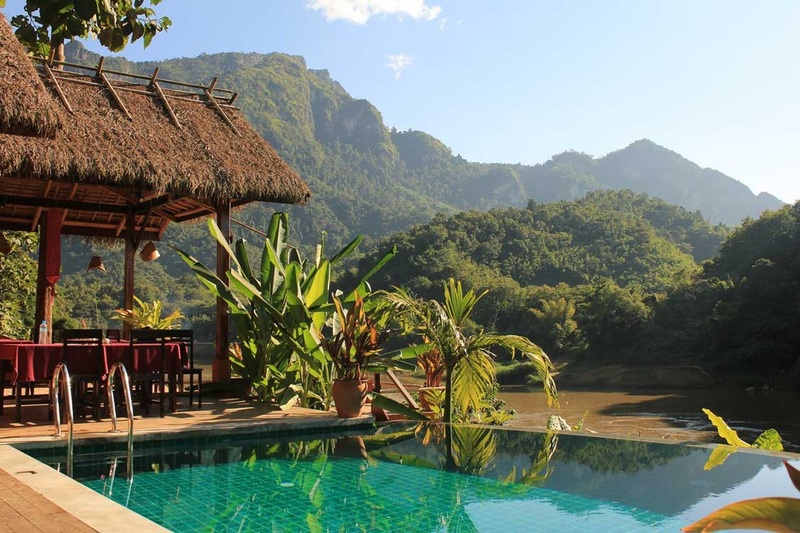 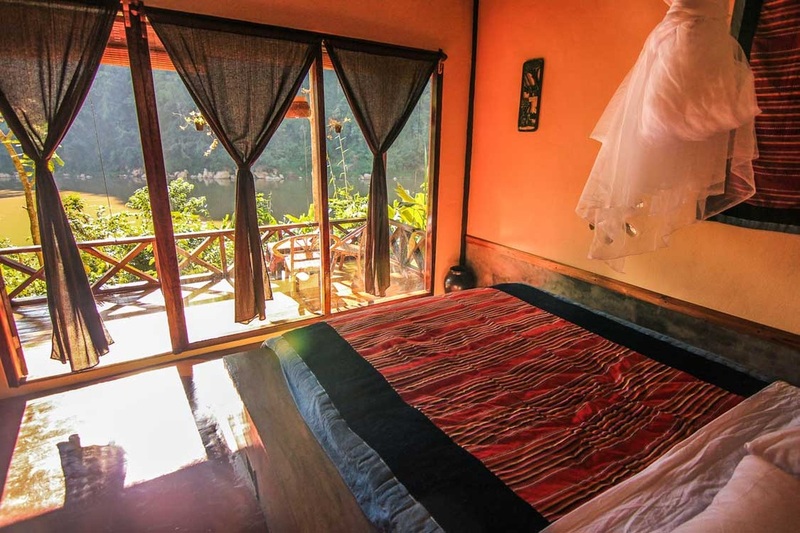 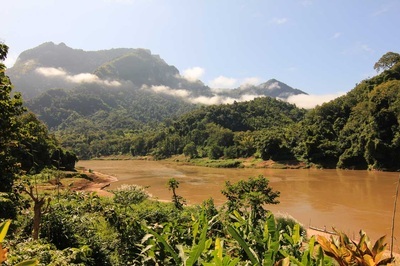 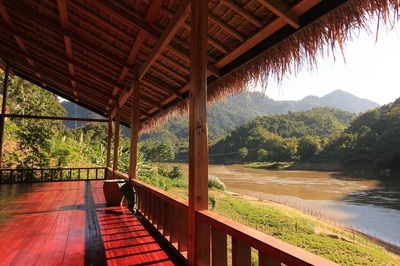 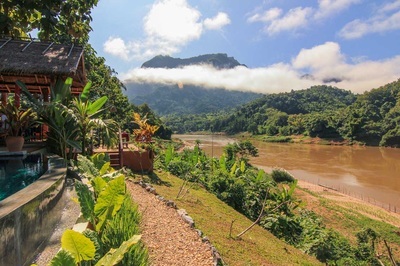 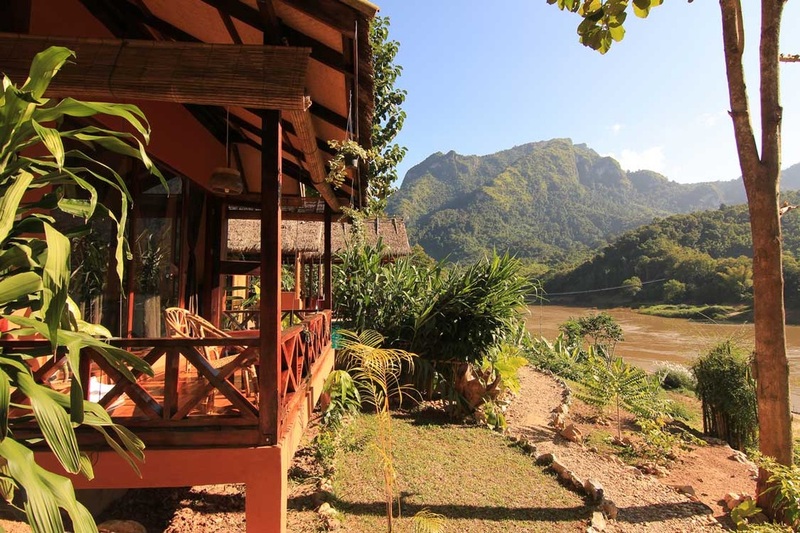 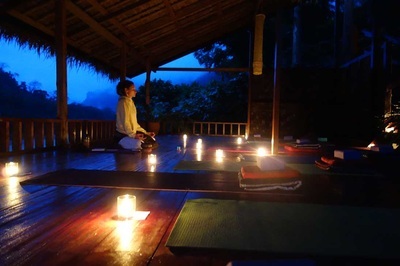 The retreats are held at a premier bungalow resort that is situated high on the banks of the scenic and tranquil Nam Ou River, offering spectacular sunset views over the virgin rainforest and karst limestone mountains of Nong Khiaw. 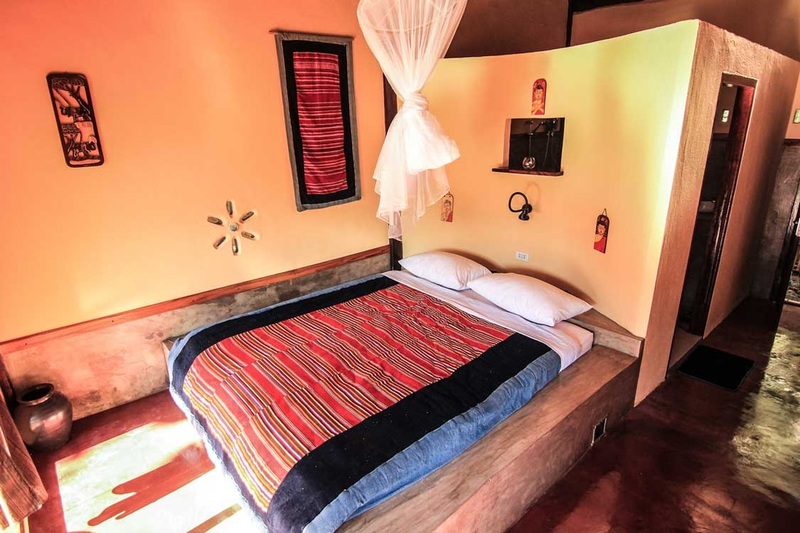 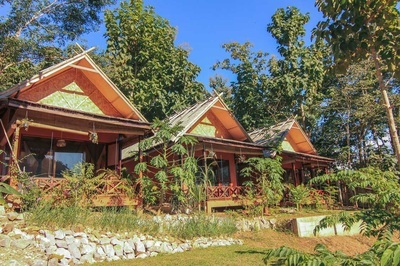 The resort offers 10 spacious clean & comfortable detached bungalows, mixing traditional Lao style with all the modern conveniences you can expect from a home away from your home. 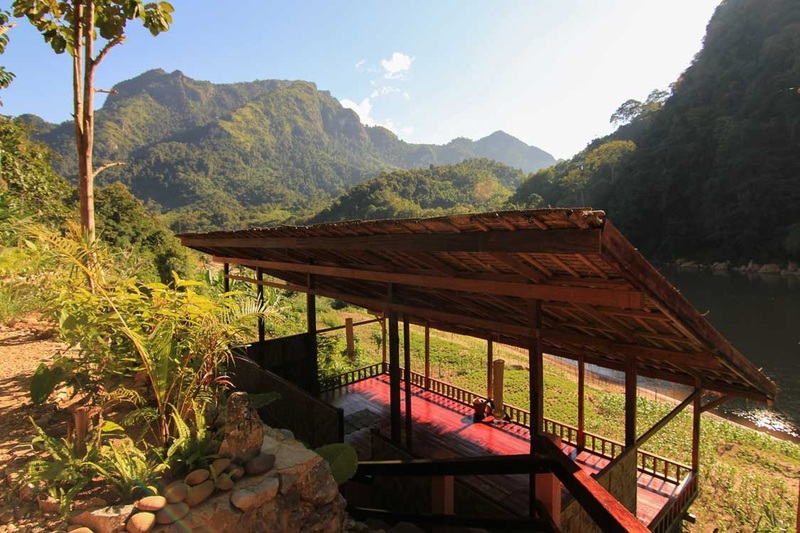 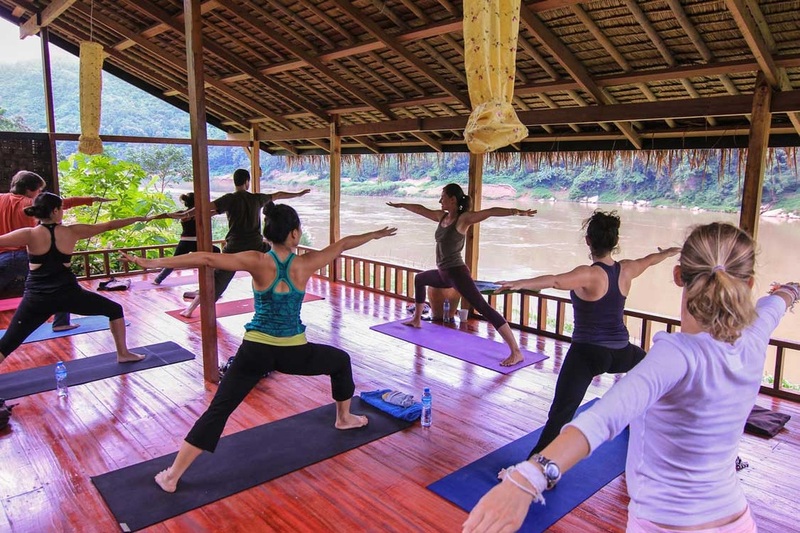 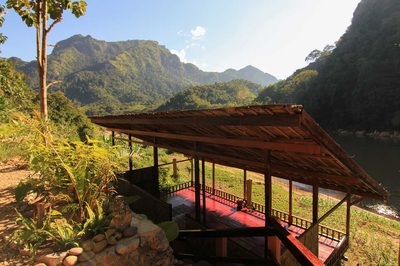 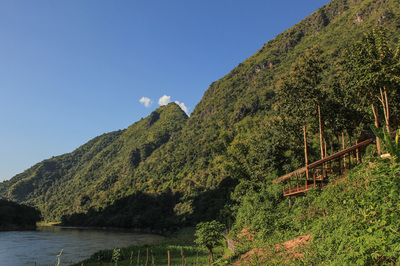 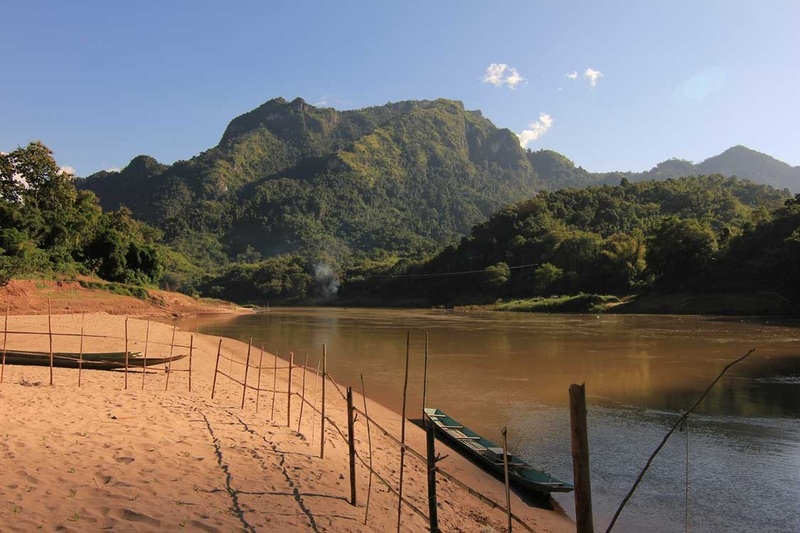 The custom-built yoga shala sits directly on the banks of the Nam Ou River, harnessing the energy of life.